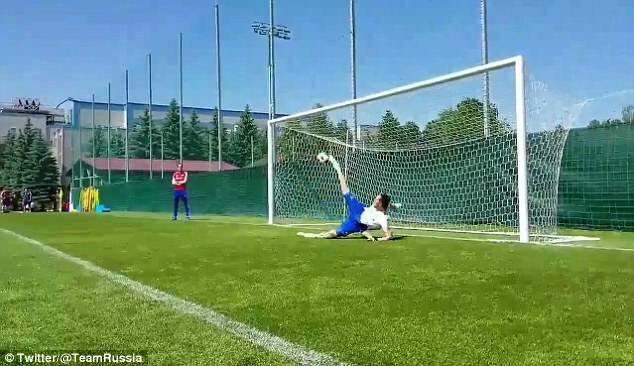 Igor Akinfeev's hard work on the training ground clearly paid off during Russia's penalty shootout victory over Spain at the World Cup. Russia held Spain to a 1-1 draw after extra-time in the last-16 World Cup clash but the hosts came out on top during the penalty shootout, winning 4-3 thanks to Akinfeev's heroics. The CSKA Moscow goalkeeper saved two penalties in Moscow, one from Koke and the other from Iago Aspas, which won the game for the jubilant Russians.